John Cairl died Jan 26,2000 of Melanoma. He and Judy have two wonderful children, Mindy and Chris. They are married and have each given us two grandsons, who have his enthusiasm and love of life! He was part owner and salesman for Rosco Concrete Pipe Co in Topeka for 20 years. He went to work for CSR Hydro Conduit in 1986 in Tulsa, Oklahoma. John Cairl enriched the lives of everyone that had the opportunity to know him. His positive outlook and his hearty laugh just always made you feel important and loved! His attitude and faith was always so supportive. His love of life, his love of his family and friends was evident everyday in his life. We're sure that your memories with him will put a smile on your face- He has and will continue to help us through our journey! Submitted by Judy (TWHS, 1963), Mindy and Chris Cairl. Tulsa, Okla. – Memorial services will be at 2 p.m. today at St. John’s Episcopal Church in Tulsa for John Franklin Cairl, 55, Tulsa. He died Wednesday, Jan. 26, 2000 in Tulsa. Mr. Cairl was sales manager for SCR Hydro Conduit in Tulsa since 1987. He earlier worked for Rosco Concrete Pipe Co. in Topeka. He was born April 23, 1944 in Akron, Ohio, the son of Frank and Frances Cairl. He attended Kansas State University where he was on the football team from 1962 to 1966. Mr. Cairl was a member of St. John’s Episcopal church in Tulsa and a former member of Grace Episcopal Cathedral in Topeka. 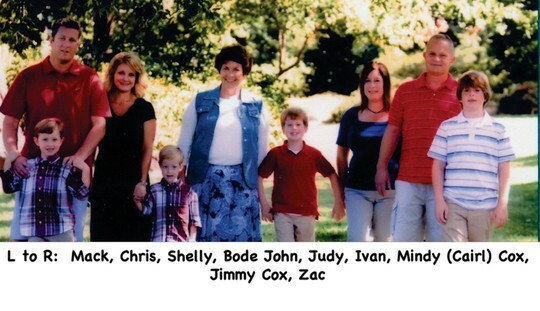 Survivors include his wife, Judy Cairl, at home, a son, Chris Cairl, a daughter, Mindy Cairl Cox, two sisters, Julia Barber, Topeka, and Debbe Ulrich, Akron, Ohio, and a grandson. Mr. Carl was cremated. Inurnment will be at the church. Memorial contributions may be made to St. John’s Episcopal Church, 4200 S. Atlanta Place, Tulsa, Okla. 74105. Floral Haven Funeral Home in Broken Arrow, Okla. was in charge of arrangements.